Lucy Kincaid receives a letter from attorney Henry Garrison in Virginia soon after her mother Beth dies from cancer. She and her mom were close, for Lucy never knew her father, and she is now at loose ends without her anchor. She is shocked to learn she's inherited a cottage in Cape Hudson, her mother's birthplace. Stymied, Lucy packs her meager belongings along with her mom's dog Dolly and heads for the coast. With hardly any cash to her name, Lucy and Dolly sleep in her broken-down Jeep, rather than make the 14-hour journey in one shot. The morning they arrive in town, freezing and hungry, Lucy stops at Arlene's, a local eatery. Arlene, the owner peers at Lucy, who asks for an order to go, not wanting to leave Dolly in the cold car. "The woman stared at her for a second or two, blinked, and then grinned. ‘Baby doll, just bring that puppy right inside. It's the off-season, so it's just the regulars and you today.’" Unaccustomed to such friendliness, Lucy relaxes and tells Arlene why she is in there. Lucy is perplexed to know Arlene and her mom were good friends. Why didn't Beth tell her anything about herself, her past, and/or her father—information she would never part with? A conversation with Arlene talks about her mother's younger years, and Lucy is anxious to learn more, especially why she was bequeathed property from Mrs. Catherine Hedrick Buchanan, a woman whom she never heard or knew. She meets with the lawyer, who goes by Hank; he drives her to the house when her car finally quits. About Lucy's age and quite handsome, he pulls no punches as he tells her about the cottage and the previous owner. He also mentions some things about Beth, supplying the fact that Mrs. Buchanan wanted Lucy's grandfather, then Beth, to have the house and acreage, but they both refused. Now it is passed on to Lucy, with no family ties to anyone—that she knows of. 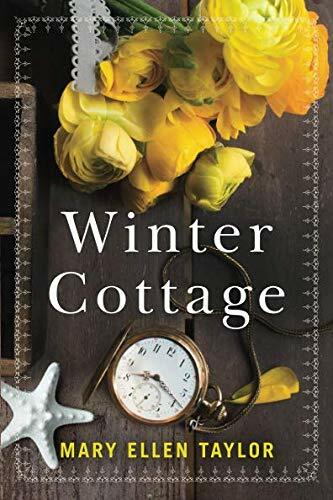 Lucy learns of the stipulations to owning Winter Cottage: She must remain on the property for at least 30 days and renovate the house with which a 15 million dollar trust is available to do so. The monies are to pay all the necessary utility bills and whatever else. When Lucy asks what happens if she doesn't comply, she is told she will lose everything tied to the house, and that it will go to him. He does not believe Lucy will stay in a sleepy town and offers to take the property off her hands for 50 thousand dollars. What a gamble that is for her. It’s a lot of money, yet she has nowhere else to go unless she returns to Nashville and her bartending job and too many reminders of her departed mom. Winter Cottage proves to be anything but. The 100-year-old house is virtually a mansion comprised of 15 thousand square feet and a vast amount of land, some of which is leased to Hank's family for their winery. Awed, Lucy doesn't know what to think upon entering the huge house, which is in dire need of upgrades, but she's game to stay the allotted time. The story commences with Beth doing a senior project in the spring of 1988. She is working on a living-history of Mrs. Buchanan. The older woman takes a shine to Beth and her "devilish smile" reminding her of another girl who lived in the cottage long ago. Then we segue to 2018 when Beth's death prompts Lucy's arrival in town, bringing speculation and more questions about her mother and her past. Interspersed with the current year and that of Beth's senior year is a recounting of the history of the house. The reader is introduced to a young woman named Claire, and this part of the story takes place between 1904 up through 1917. So, in essence, the author is giving us three books in one. Offering a look into bygone days of the gentrified from the early 1900s up until the present time, mystery and romance are included along with a multifaceted tale that is sure to please. Another surprise addition are recipes of foodstuff referred to within the novel.